Come join our team! We have many employment opportunities for folks starting at age 14 who love being outdoors and want to share that with others. 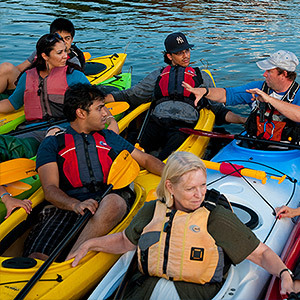 Charles River Canoe & Kayak offers a relaxed outdoor work environment with competitive pay and benefits, plus the potential for year-round employment opportunities in concert with Weston Ski Track and Community Skating @Kendall Square. We are currently seeking to fill the following jobs. Applicants should complete our online employment application. If you would like more information, please contact us. Responsibilities: Helping customers on the dock with canoes, kayaks, and gear, answering questions about the equipment, the river, and any other concerns for the customer. Loading and unloading of boats off storage racks and boat trailers and showing clients basic paddling technique. Aware of hazards on on the dock and emergency response protocols. Some positions will include indoor work such as using a cash register. Requirements: Be polite, responsible, friendly, hard-working, and able to lift 50 pounds. Multi lingual skills are desirable but not required. CPR and First Aid certification is preferred. Pay: $12-14/hr + tips. Full and Part-time summer positions are available as well as year round work. is operational and available, maintaining appearance of the facility, and fostering the highest level of customer service for our diverse clientele. Ensure company policies are carried out. Requirements: Bachelor's degree or equivalent experience. Strong customer-service background. Experience in staff management and familiarity with computers. Ability to effectively communicate with all levels of employees, customers, and other business contacts, as well as the outside community, in a courteous and professional manner. Proven experience leading and motivating a team. Ability to work calmly and effectively in a fast-paced environment. Previous employment in the boating, ice skatng, or recreational industry highly desirable. Must be able to work independently. Candidates should have a current driver’s license, safe driving record, current CPR and basic First Aid, and be able to lift 50 pounds. Multi lingual skills are desirable but not required. Pay: $17-22/hr depending on experience. Full time, year round employment available plus year end bonus and benefits. 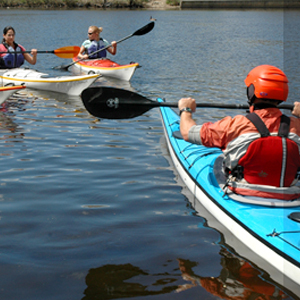 Responsibilities: Lead tours and custom group events in canoes, kayaks, or paddleboards from our different locations. The lessons typically run on weekends with occasional morning and evening sessions. 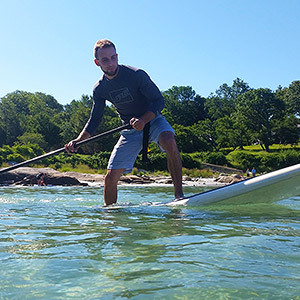 Additional work may be available with private lessons and longer coastal SUP lessons. Requirements: Weekend availability and significant flatwater or ocean paddling experience is required. Guides should be able to demonstrate and teach efficient paddle technique (forward, sweep, draws, bracing, torso rotation) as well as proper feet placement. Teaching experience and CPR/FA certifications are required. Must be able to lift 50 pounds. Current drivers license and safe driving record are desirable but not required. Training is available. 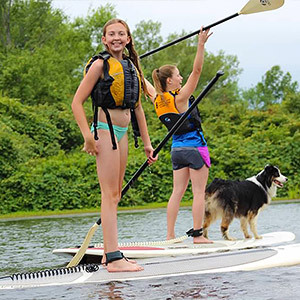 Responsibilities: Responsibilities will include but are not limited to working selling kayaks, canoes, paddleboards and gear, answering phones and general office tasks, as well as assisting in running our boat rental locations as needed. Requirements: Strong customer service background and superior attention to detail. Some knowledge of boats, previous employment in the recreation or tourism industry highly desirable. Current drivers license and safe driving record is a plus. Must be available to lift 50 lbs, and have weekend and holiday availability. 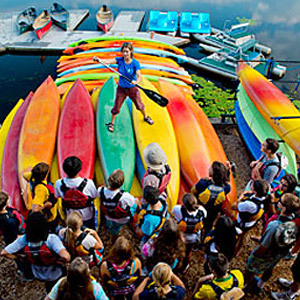 Responsibilities: Oversee the day-to-day operation of a canoe and kayak center. 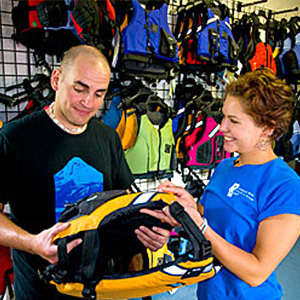 Responsibilities will include but are not limited to working with the Manager to oversee the dock staff and rental operation, working on the rental dock and as a cashier, preparing equipment for tours, assuring that rental equipment is operational and available, maintaining appearance of facility, and fostering the highest level of customer service for our diverse clientele. Must be able to work independently, as shifts will not always overlap with Manager. Requirements: Strong customer service background. Experience in staff management and familiarity with computers. Previous employment in the boating industry and current CPR and basic First Aid is highly desirable. Must be able to lift 50 pounds. Multilingual skills are desirable but not required. Full time positions; must be available on weekends. Starting Pay: $16-18/hour + year end bonus. Opportunities for full and part-time summer and year round employment and benefits. Responsibilities: Responsibilities will include but are not limited to working with clients to identify their needs and ensure customer satisfaction in scheduling and planning custom outings. Organizing facilities and staffing such as catering, transportation, location, equipment, and more across our multiple boating, skiing, and ice skating locations. General office tasks, boat sales, and assisting in running our boat rental locations may also be required as needed. Requirements: Strong customer service background and superior attention to detail. Previous employment in the recreation or tourism industry highly desirable. Candidates should have a current drivers license, safe driving record, current CPR and basic First Aid, and be able to lift 50 pounds. Multilingual skills are desirable but not required. Must be available on some weekend days. Starting Pay: $20/hour + year end bonus. Opportunities for full-time and year round employment and benefits. Starting Pay: $18/hour + year end bonus. 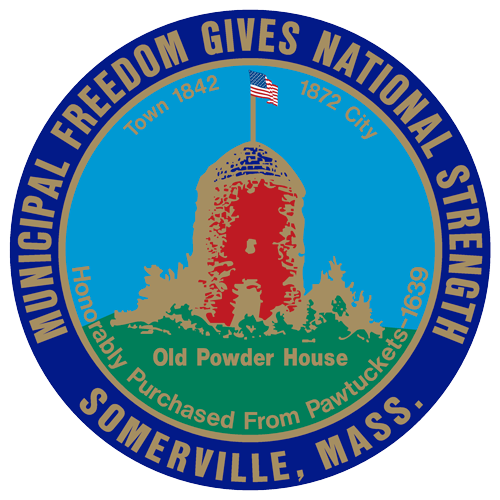 Opportunities for season part-time or full-time and year round employment and benefits. Responsibilities: SEEKING USCG 25ton Master - for a 16 passenger cycleboat vessel with auxiliary outboard motor. 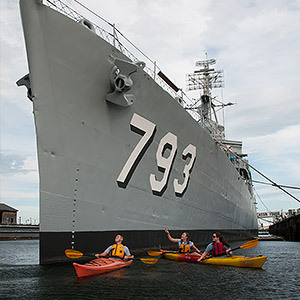 Candidates should have excellent interpersonal skills, mature, detail-oriented, able to work both independently and as part of a cooperative team, a general knowledge of and interest in the history of the Boston Harbor and the surrounding Islands, a strong focus on safety and a desire to deliver excellent service to passengers. Requirements: Must be USCG 25ton Master, knowledge of Coast Guard safety procedures and Emergency Drills, ensure safety of all passengers and crew members, be able to comply with Coast Guard required drug and alcohol program, CPR and First Aid certification, and weekend and holiday availability is required. Transportation Workers Identification TWIC Card is preferred. Season full-time or part-time positions available, able to work through October 31. Starting Pay: $23-25/hr + tips Compensation is commensurate with experience, at or above industry level depending on type of license, experience, skill level, and qualifications. Responsibilities: Responsibilities will include but are not limited to driving a 15-passenger van and boat trailer, assisting with events and with running our multiple boating locations including: working on the rental dock, preparing equipment, assuring that rental equipment is operational and available, maintaining appearance of facility, and fostering the highest level of customer service for our diverse clientele.